The month of November was NaNoWriMo, so I spent the month attempting to get 50000 words down. I’ve done this a few times before, but this time I made it harder on myself and tried to get those words out of a detailed outline and not a first draft, which is the best way to utilize NaNo. I didn’t do this on purpose (who would torture themselves like that?). I had just finished my fourth draft of The Hashna Stone the day before NaNo (Bad timing right? All those words going uncounted). But I couldn’t waste the opportunity to use the motivation NaNo gives to push myself, not to mention I really an addicted to NaNo and the thought of interrupting my winning streak was too much for me to bear. For every year won, a little flame decorates the year of participation. My OCDness wouldn’t let year 5 go without the flame. 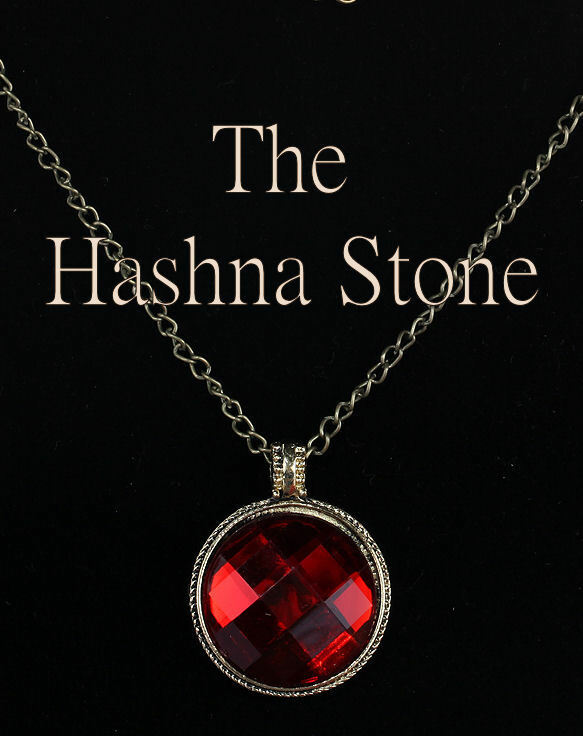 So I decided to use November to work on a detailed outline of book two of The Hashna Stone. The problem was that outlining starts with brainstorm, and while sometimes that includes sitting at the computer and word vomiting, it also includes a bunch of walking in circles while muttering to yourself. In the brainstorming process, there is a lot of time spent away from the computer. Needless to say, this didn’t help my word count. I did write a more detailed outline than what I did for The Hashna Stone (which I think will make the actual writing of the book easier, and it allowed my to do a bunch of cool things that would be a mess if I tried to figure it out in the first draft). I also did some world building and character development that added some words to my floundering word count, but in the end I was still about 10,000 words short. So what did I do? I cheated of course. I took the words from the last three chapters I rewrote in The Hashna Stone and added it to my word count. This seemed fair because I did think about waiting for NaNo to write those chapters since it was only a week and a half away, but I couldn’t stand to hold myself back from writing. Life does that enough without me doing it to myself. So I went ahead and wrote them, naively thinking that I would still have enough words to write. I may not have the words, but I still put the time in. I could have blabbed on for 10,000 words about nothing, but I would have rather used that time to come up with terrible situations to put my characters in. When you spend two hours going over possibilities in your head and come away with two sentences, it’s unfair to measure success by a word count. In one month, I went from having no clue what would happen in the second book to figuring out everything from beginning to end. So yes, I borrowed 10,000 words from the week before November and didn’t actually write all the words in November. But I did reach my goal for the month: to have a detailed outline. Moving forward with the story matters more than a certain number of words. Isn’t that why we do NaNo in the first place? I guess you’re going to call the NaNo police on me and I’ll be put in a room with no laptop, no pen and paper, and ordered to refinance from writing while serving my time. But I still think it was worth it, just to have those little fires all in a row. I trust you will self-inflict your penance. Ten days of wearing a hair-shirt ought to do it. And horse-hair, not something soft and slinky. But, honestly, Megan, I’d have done the same. When I explain the rules of NaNoWriMo to non-writers, a surprising number of them gasp and ask, “But don’t people just CHEAT?” I thought about that for a while and decided my answer is, “Who cares?” It’s not like claiming that winner’s flame means you win some prize (well, except for the discounts on software and services, but come on, they’re just trying to get you to buy their stuff — they certainly don’t care). You could sign up and then not write a single word, and just submit nonsense — or a story you’d already written the year before — but who would that hurt except yourself, for squandering the opportunity? The whole point of NaNo, to me, is to encourage yourself to write more than you would have otherwise. If NaNo motivated you, and you worked hard and made progress, then good for you. I know plenty of folks who write piles of steaming crap during November — they don’t call it cheating, but it’s just as bad. Like the ones who have hardly any words written by week 4 and then somehow spit out 15000-20000 words per DAY in the last couple of days to finish off. Yeah, right. No way is that quality stuff. Then there are the people who write page after page of stream of consciousness, admitting that none of it makes any sense and they’ll just throw it out later, “But hey, it’s words, it counts.” Or the folks who brag about how clever they are at tricks that use more words, like naming their main character Hi Chi Lir and getting three words every time she’s mentioned into of one. Sure, these people put 50,000 words into a document. But were they worth the same as the 40,000 words you did? Not bloody likely. It sounds to me like you went into it with a good plan and followed through, that it was a useful experience, and that you produced more quality stuff than any of these posers. So take that fricking flame: you earned it just as much as these others. I feel better having stuck to my plan and reached my goal and be a bit short than if I wrote a bunch of words just for the sake of writing words. Well, maybe I didn’t have as much world building to do since I already wrote a book set in that world. And I didn’t add any new characters, so there wasn’t all the character sheets and magic system stuff to do like there was for the first book. Plus every time I write a new story or even a new flash fiction piece, I keep adding new world building. Ooh, shiny new cultural ritual! Well if I ever need critiquing in my world building, I’ll know who to go to.